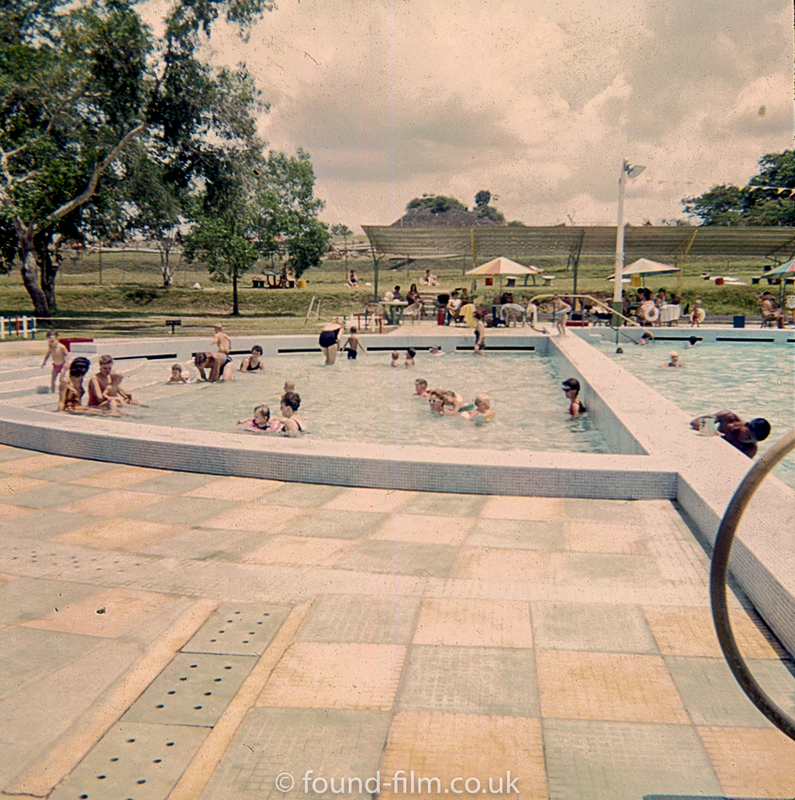 This picture shows the children’s pool at RAF Seletar and is quite busy with small children and mostly Mums looking after them. The picture itself has rather a yellow tint to it, which is probably caused by the ageing process. Nice shot of the refurbished pool. Photo needs to be flipped.